Daniel and I have moved. 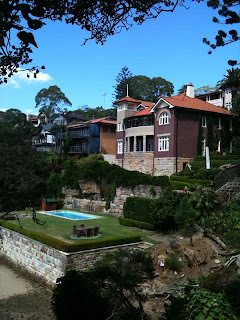 Our new house (some people have rather crassly called it a mansion - I prefer the more Italianate villa) perches over Mosman Bay below Cremorne Point. It is all very idyllic and impossible to reach by car, which obviously comes at a cost. We had to train ten locals in the art of carrying loads on their heads just to get our silverware and Sevres in. My ankles are becoming trimmer since I have to walk ten minutes before I get to the car but it's all worth it, don't you think? 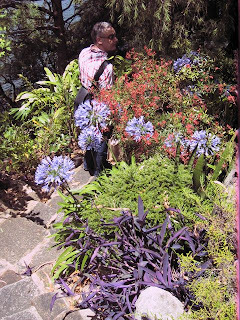 I am learning to deal with staff - we have four gardeners, the pool maintenance man, two maids, a chef, a full-time cleaner and a handyman - but the hoi-polloi I'm still having difficulty with. 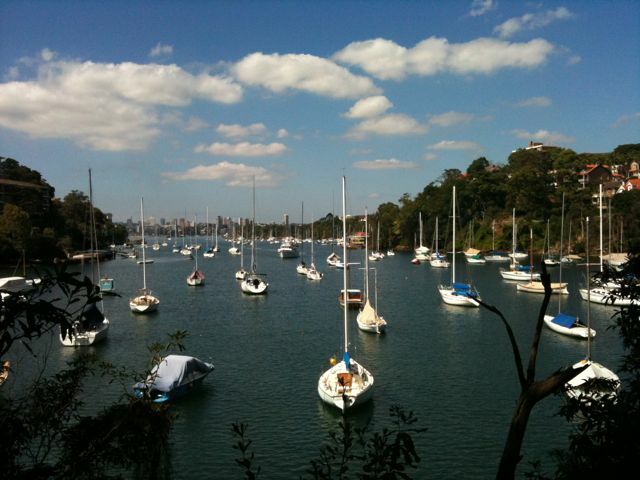 Unfortunately, there is a path running around Cremorne Point which is open to the public. Although no-one walks directly past our swimming pool they can look over it from one particular vantage point and people gawp, point and take photographs of our villa. The path then runs past the front of the house, alongside our walled garden and fountain (another Italianate touch that I'm rather pleased with - I close my eyes and sit there in the sun and imagine I'm sitting for a portrait by Michelangelo - you know, the painter) and I caught some ugly little man peering through the slats of our fence only this morning. He had a hideous little dog with him, which reminded me a bit of Sniff. I did feel a slight pang of remorse but Sniff obviously had to go back to the pound when we moved here. He has been replaced with a Saluki - something I can be proud of when the neighbours see me out jogging. I've called him Dante, which I think is rather fitting. 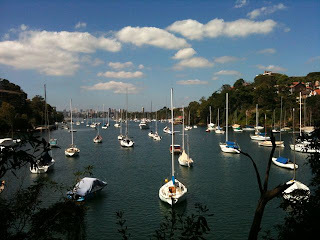 Our boat is moored in the bay and we have someone who looks after it for us and sails us whenever we like. The chef comes along on most trips as well which makes for so much work - I have to direct everybody, honestly it's quite exhausting. And now that Daniel is on a macrobiotic diet (like Madonna and Gwyneth, you know?) and I'm on the Master Cleanser Diet (Beyoncé's latest) and Dante's on the Raw Food for Dogs diet just planning a menu with the chef makes me need to lie down in the dark with a pitcher of Manhattans for an hour or two. And my personal physician has told me that too much stress will have an adverse effect on the Botox I treated myself to last week so heaven knows, I need to just take it easy. 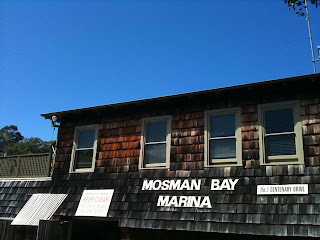 Just around the bay is a lovely little Marina but, unfortunately, it is open to the public. 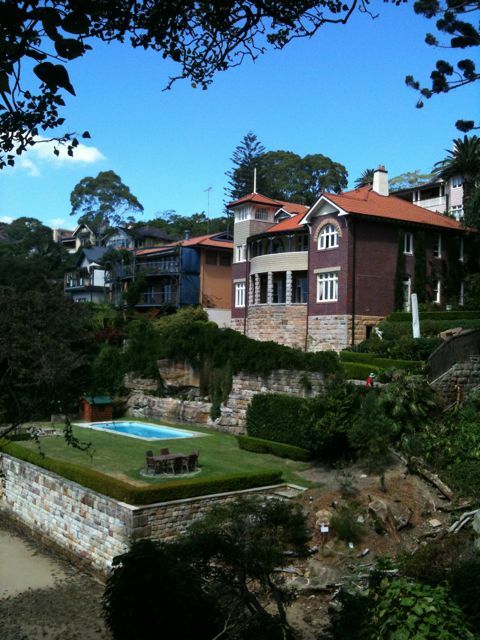 So a bunch of us are getting together to try and make the whole of Cremorne Point a gated community. It would simply be heavenly then. As it is, there is the private sailing club, the private country club and the private businessmen's association of which we are members naturally. Sometimes I feel like I'm constantly yo-yoing backwards and forwards from one social event to another!!!! Goodness knows how Daniel finds time to work. It was pointed out to us the other day, by some busy-body nobody wearing an anorak on our doorstop, that the gum-trees around Cremorne Point are slowly dying off. They tried to insinuate that we had something to do with it. Luckily for us, the previous owners of our villa cut down all the trees so we have a perfect view of the water so I don't care one way or the other. I slammed the door in the Greenie's face and got on with the important things - what to wear tonight, which cocktails to have mixed for our party on Saturday, and whether to get Dante a diamond or a pearl-studded collar. 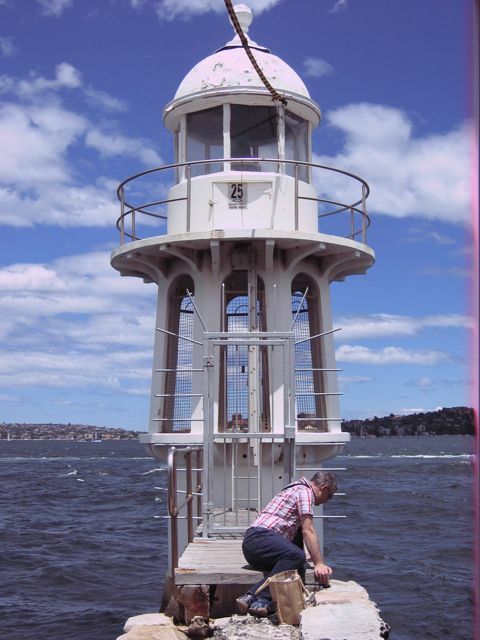 At the end of Cremorne Point there is a divine, dinky little lighthouse. It seems to serve no purpose but looks awfully pretty. Along the way someone has made a public garden - it's also terribly pretty but why, oh why, make something like that and then open it to the public? It should be for residents only. Some people have no idea. I must bring it up at our next residents meeting. Along with a motion to ban all tourists from taking photographs of those, like us, who have better houses/clothes/cars/jobs/lifestyles than them. It's such an invasion of privacy. Where is that damn maid? I need a drink. Yes, out by the pool. NOW!